Bit Kid, Inc have announced that their Metroidvania-style action-platformer Chasm is due to arrive on Xbox One this week, on November 9. The Xbox One version has all of the latest improvements made to the main game since its original launch, but does not include the free Guildean Arcade Pack DLC yet, which will be coming soon. 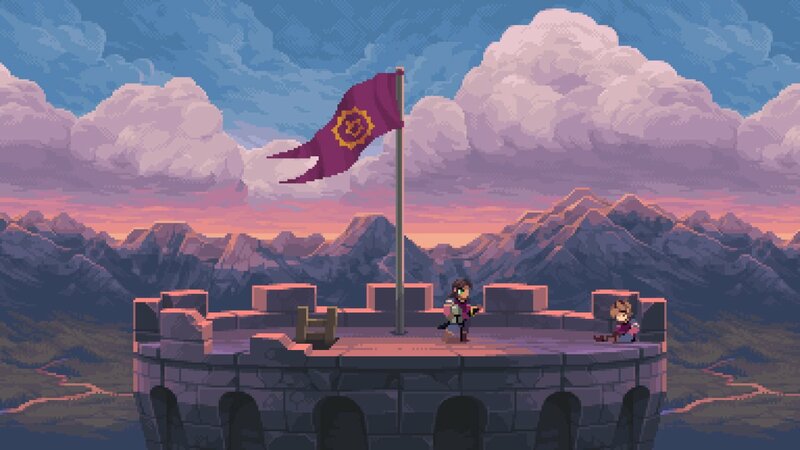 In Chasm, you play as a new recruit undertaking your first mission for the Guildean Kingdom. Thrilled to prove your worth as a knight, you track strange rumors that a mine vital to the Kingdom has been shut down. But what you discover in the mining town is worse than you imagined: The townspeople have disappeared, kidnapped by supernatural creatures emerging from the depths. Chasm was already released on Steam, Nintendo Switch, PlayStation 4, and PS Vita. Chasm (PC) is ranked #588 out of 1434 total reviewed games. It is ranked #34 out of 146 games reviewed in 2018.